Check List is a conversation created by New Community Project. It is meant to be read between two people or performed as a skit. One person reads the Genesis creation account while another person uses the list to gauge how other species are faring in the Age of Humans. To view the Check List, click here. 6 Ways to Green Your Holiday is a graphic made by the Sierra Club. It gives 6 easy ways make Christmas traditions more sustainable. To view the image, click here. Creation Care Hack: Train Yourself to use Reusable Shopping Bag is a post from Evangelical Environmental Network MOMS. The article discusses how using a reusable shopping bag is only easy if you make it a habit, which can be difficult. It then gives a few tips on how to make this sustainable practice a habit. The article also has a graphic on how plastic bags are killing the planet, which can be found below. The author finishes by saying, “If the 70% of Americans who identify as Christians practiced using less disposable plastic bags what a witness and difference that could make.” To read the entire post, click here. Faith in Place is an Illinois based organization that empowers people of all faiths to be leaders in caring for the Earth. They strive to make their programs diverse and relevant to faithful people of any religion, race, age, and socio-economic class. They design their programs to be adaptable and engaging so that they can inspire action in as many people as possible. To read more about their work, click here. 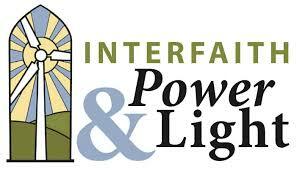 The Regeneration Project is the parent project of Interfaith Power&Light. It is meant to help deepen the connection between ecology and faith and to help people of faith recognize and fulfill their responsibility for the stewardship of creation. They do so through educational programs for clergy and congregations. To read more, click here. When Mother Calls is a 20-minute skit from New Community Project. It portrays a trial in which earth’s creatures testify about human impacts on the environment. The play emphasizing the call to respect and nurture the earth is easily adapted for performance in congregations, youth camps, retreats, or other church or youth events. To read the entire script, click here. Wade in the Water is a worship resource from the New Community Project. It calls for the stewardship of water and is a 20 minute worship service, including a hymn, about water as a precious resource. To read or download Wade in the Water, click here. Climate Change: A Call for Personal Changes is an article about the Islamic faith and the environment. 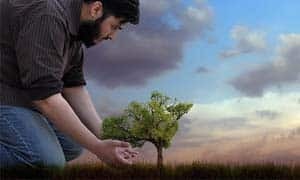 The author, Imam Shabir Ally, discusses conservation, the sanctity of planting trees, the equilibrium of all life, man’s purpose, and a call for change. He pulls quotes directly from the Quran and explains their relationship to creation. To read the entire article, click here. 12 Days of Christmas Recycling is an article from Evangelical Environmental Network about all the “stuff” that accumulates over Christmas. December is the highest month for landfill deposits with household waste increasing by 25% between Thanksgiving and Christmas. An average of 30 million Christmas Trees will end up in landfills and 4 million tons of wrapping paper and gift bags will be used. The article gives 12 ways to “reduce the overuse” and to move the focus of Christmas back to the birth of Jesus. To read more, click here. If Koalas Were King is a reading from the New Community Project. It intertwines the creation story of Genesis with a commentary on the role of humans beings as stewards of God’s world. It is meant to be a conversation between two readers. Click here for the full reading.